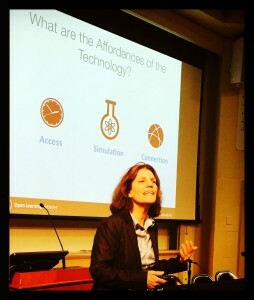 World-renowned open learning pioneer Dr. Candace M. Thille (Stanford University) delivered a captivating keynote address on the campus of Haverford College on Saturday, June 18th. This talk was a major highlight on the program of LACOL2016, a two-day, consortium-wide workshop organized by LACOL. In her remarks, Dr. Thille shared thoughtful and provocative commentary on the opportunities and risks ahead as we move further into the blended, digital future of teaching and learning for the liberal arts. She invited faculty, staff and students at small liberal arts colleges to engage and contribute to shaping a more positive, open and transparent future. Keynote speaker Candace Thille is the founding director of the Open Learning Initiative (OLI) at Carnegie Mellon University and at Stanford University. 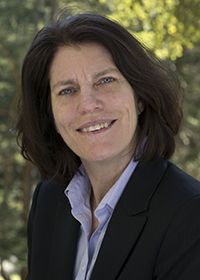 She is a senior research fellow in the Office of the Vice Provost for Teaching and Learning and an assistant professor in the Graduate School of Education at Stanford University. Her focus is in applying the results from research in the science of learning to the design and evaluation of open web-based learning environments and in using those environments to conduct research in human learning. Dr. Thille serves on the board of directors of the Association of American Colleges and Universities; as a fellow of the International Society for Design and Development in Education; on the Assessment 2020 Task Force of the American Board of Internal Medicine; on the advisory council for the Association of American Universities STEM initiative; on the advisory council for the National Science Foundation Directorate for Education and Human Resources. She served on the working group of the President¹s Council of Advisors on Science and Technology (PCAST) for the Obama Administration that produced the Engage to Excel report. She served on the U.S. Department of Education working group, co-authoring the 2010 and 2015 National Education Technology Plans. She has a bachelor¹s degree from the University of California, Berkeley, a masters degree from Carnegie Mellon University, and a doctorate from the University of Pennsylvania.